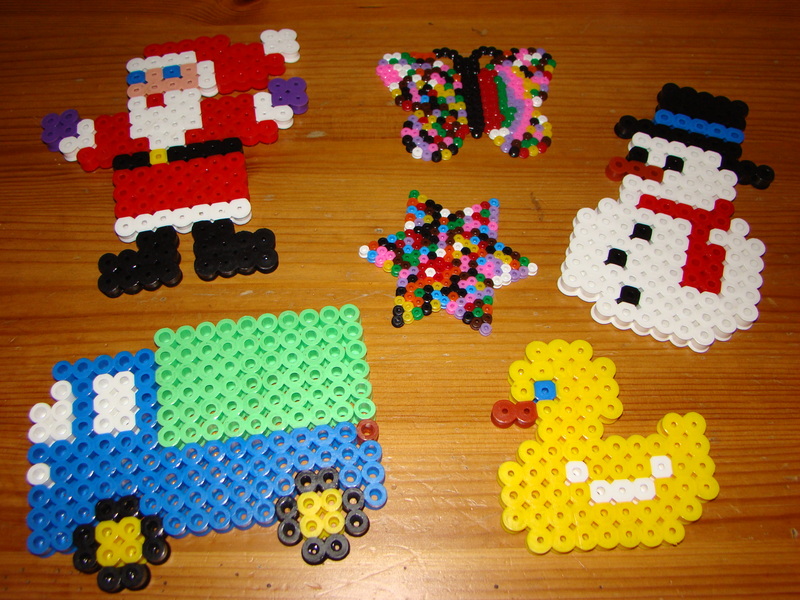 I think it helps that the Maxi Beads come with transparent peg boards so you can just place the peg board directly over the pattern you want to follow, which is much much easier for little ones. We started with some of the Starter Packs but quickly progressed to wanting more and more and I bought one of the Inspiration Books, which we have found invaluable. 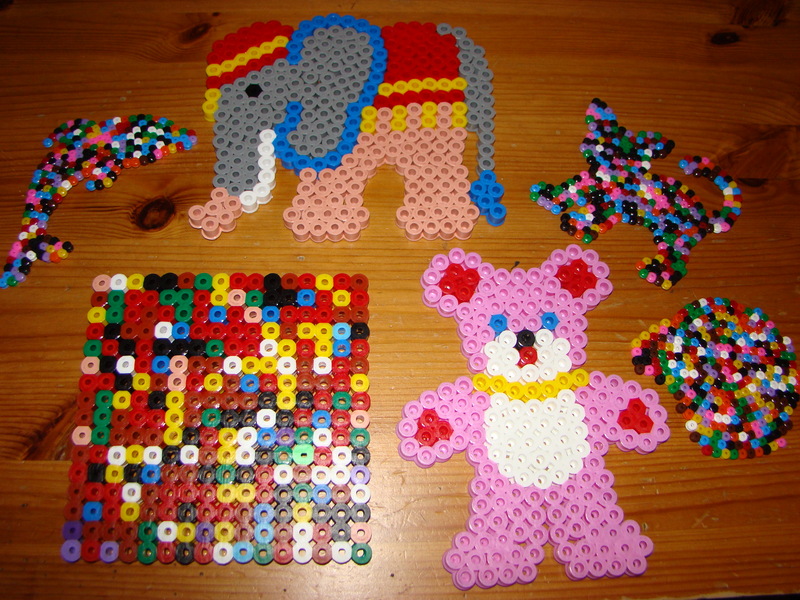 Now Ben is using the Maxi Beads and Thomas and Jasmine are starting to use the Midi Beads. They do like these smaller beads, but find following any pattern quite difficult as the boards are not designed for placing on top of the picture and at not quite 5 they are still too young to “count the pattern” by themselves. We therefore tend to end up with lots of very colourful squares and hexagons (coasters?)! Jasmine likes making picture frames as well, which is basically just placing beads in a few rows around the edge of the board and leaving a gap in the middle to place a picture! She has a couple of her own designs on her bedroom wall!